As Simba lies in a lush jungle, practicing “Hakuna Matata” to its core, his kingdom rots. Color alone tells this story. The kingdom near Pride Rock exists in deep shadows, with only gray death in the surroundings. That easy life, which Simba became enamored with, keeps its attractiveness. Nothing in life is easy. Power is always corruptible. Responsibilities matter. The Lion King asks much of its young audience, finding a sensational balance between traditional animated fun and well calculated morals. Coming-of-age stories often get told. Few do so better to the necessary audience than Lion King. Lion King deserves ample praise for its raw artistic value, certainly. Disney’s hand-drawn renaissance peaked here. Some will argue for Beauty and the Beast – with cause – but Lion King’s setting and the natural vibrancy is unrivaled. Using that platform to turn complex life values into digestible themes matters more. Simba’s life is one of expectations. Part of nature’s monarchy, his attempts at hiding from that inevitability makes things worse. 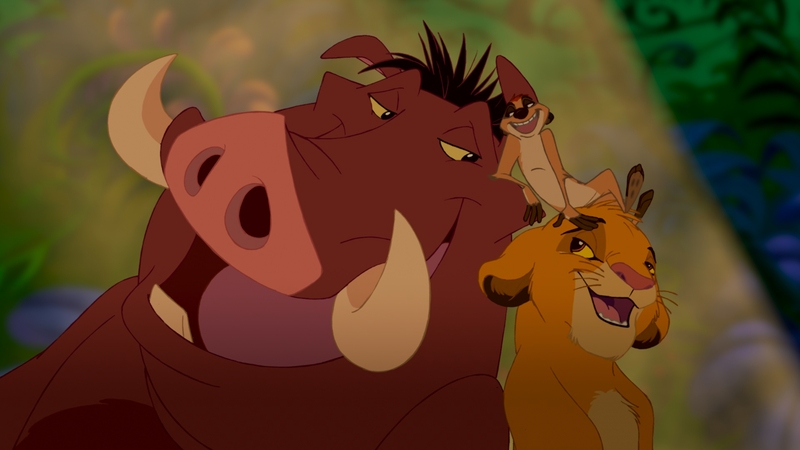 Importantly, Lion King isn’t about giving up one’s identity; Simba finds himself fleeing into the tusks of Timon and Pumbaa, literal party animals, who in turn develop his personality. 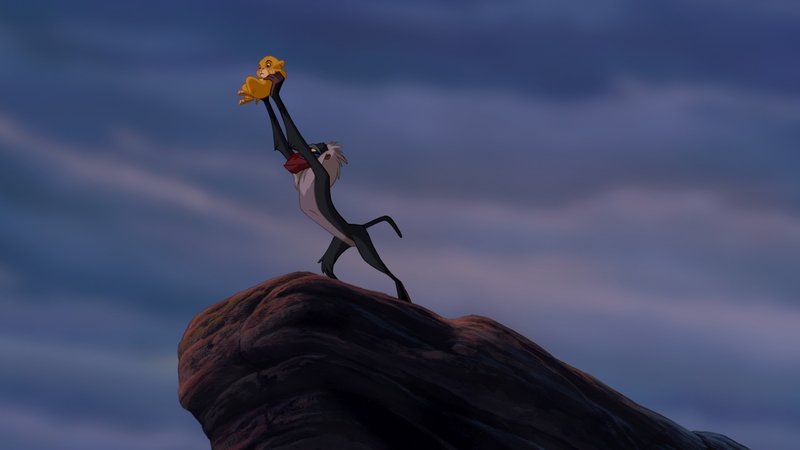 Simba won’t be like his father, but his own leader. There is an antagonist to this story, of course. 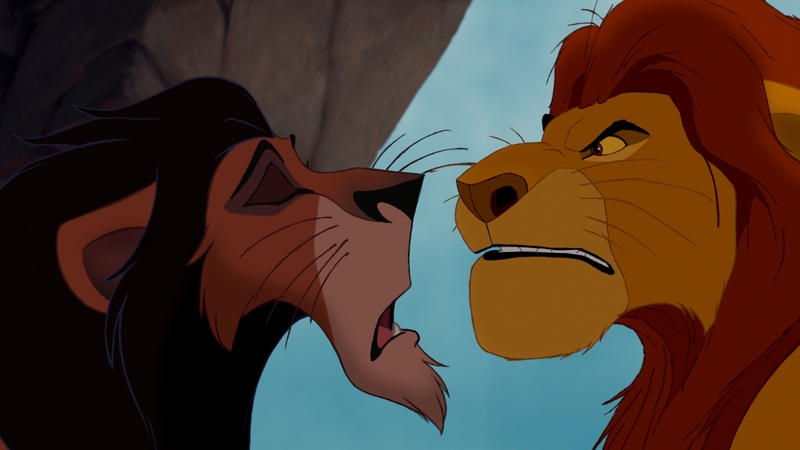 That’s Scar, a selfish, power mad lion determined to take the throne. Through him, Lion King finds the method to bring Simba back from a life of infinite leisure. What matters is the greater good, not only ones self. Inaction is not a way to live. Rather than present a tepid good/evil dichotomy, Disney’s take injects intelligent lessons, clear enough for even the youngest to accept. Opening and closing Lion King is Elton John’s “Circle of Life,” an Oscar nominee for Best Song, and flawless encapsulation of the animation’s themes. Elements of life and death, tragedy and peace, swirl around this precisely, economically told tale. Nothing in this narrative is wasted, further embodying the song’s purpose. Every spoken line and every shot furthers Lion King’s needs. The articulation of this story’s themes and the organic grandeur of the visuals blend seamlessly. It’s majestic. Disney’s first traditionally animated feature to land on 4K UHD leaves a dazzling impression. Yes, Disney does still employ grain removal this generation. Whatever impact this has is unknown – Lion King’s perfectionist veneer doesn’t allow for any criticism. The texture of the landscapes exhibit incredible clarity. Brush strokes and lines in 4K bring newly realized details. Even faults, including a few small paint smears, make themselves known. The line art itself further adds to the hand drawn look, with sketching artifacts and slightly imperfect flourishes a reprieve from the dull perfectionism of modern computer art. 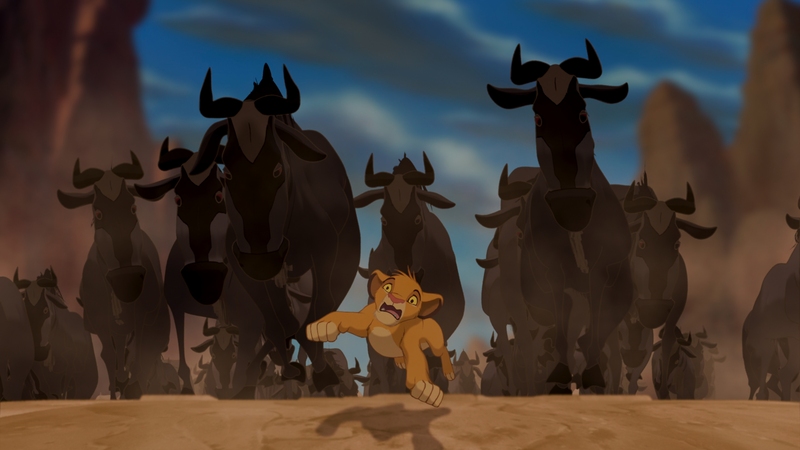 Surprisingly, even Lion King’s moments of early CG assistance (the stampede) show no loss of resolution. While side-by-side comparison between the UHD and Blu-ray will appeal to hardened videophiles, it’s the color where Lion King earns its keep. Density reigns with an array of hues given new life. Scenes in the jungle add richness to the greens. When Timon digs up grubs, the variety of color choice exposes the full breadth of the palette, much as the magic-tier beauty of the African landscapes do. Sunsets and sunrises add a bevy of orange, pink, and other choice selections. Lion King uses only a subtle HDR pass. Those expecting stars to simmer or the sun to burn retinas will be disappointed. That’s fine. The touch is enough to add denseness to the animation, especially in the elephant graveyard. Black levels reach outstanding depth, giving shadows their sinister vibe. Remastered for Atmos, this track uses hefty range for a sense of scale. 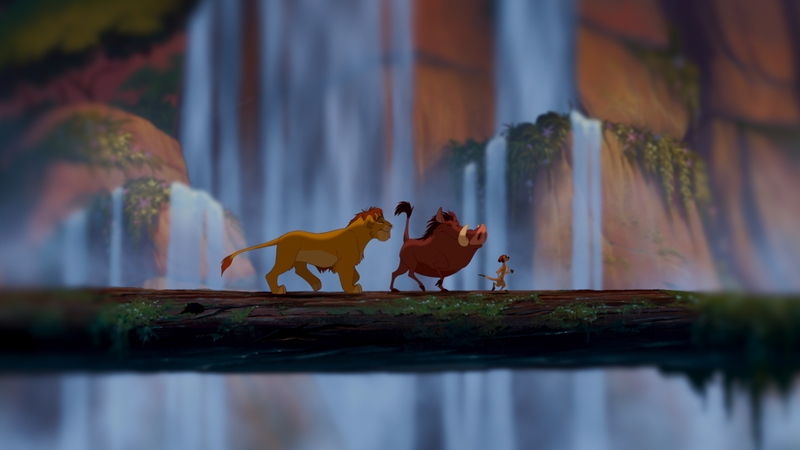 As an elephant walks toward Pride Rock in the opening montage, each step produces hefty low-end support. Thunder strikes with power. That stampede, a home theater staple since Laserdisc, keeps its crown on UHD; it’s a stream of thick, tight low-end power. In using the soundstage, Lion King gains width. Dialog runs off to the sides as needed. Songs travel the full width of this soundstage. The fiery finish puts Simba and Scar amid flames rushing into the mix, fire crackling, jumping between speakers as they duel. High-grade fidelity shows no signs of aging. While the UHD is empty (not even the commentary from producer Don Hanh and co-directors Roger Allers & Rob Minkoff makes it over), the Blu-ray holds the same bonuses as the previous format release. That begins with an artistic dance performance titled Visualizing a Villain running three minutes. Picture-in-picture is used to show the voice performances to their animated form; that’s five minutes of content. A five-part look at the story process runs 24-minutes, digging into Disney methods of the time. It’s a shame a table conversation between Matthew Broderick, Nathan Lane, and Don Hahn isn’t longer since they make a great trio. Seven minutes isn’t enough. Animated bloopers then mimic those great clips from the credits of A Bug’s Life. Some extended/deleted scenes follow a song selection menu for a lean set of bonus material. 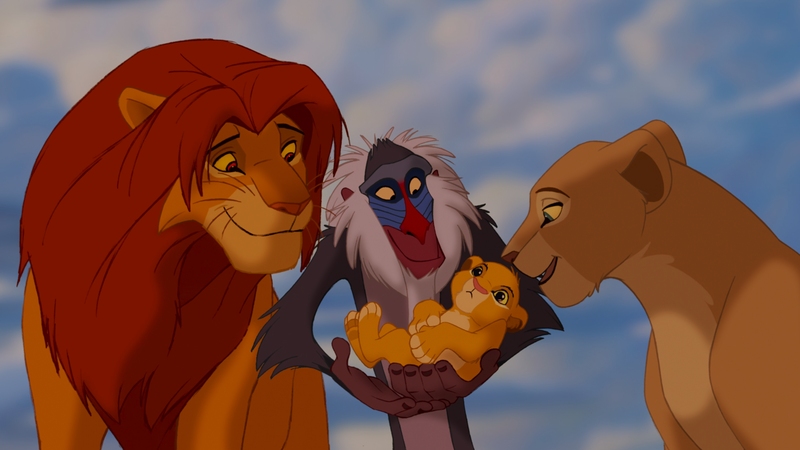 Disney’s ’90s renaissance classic The Lion King remains a gorgeous, beautiful triumph of storytelling and style.